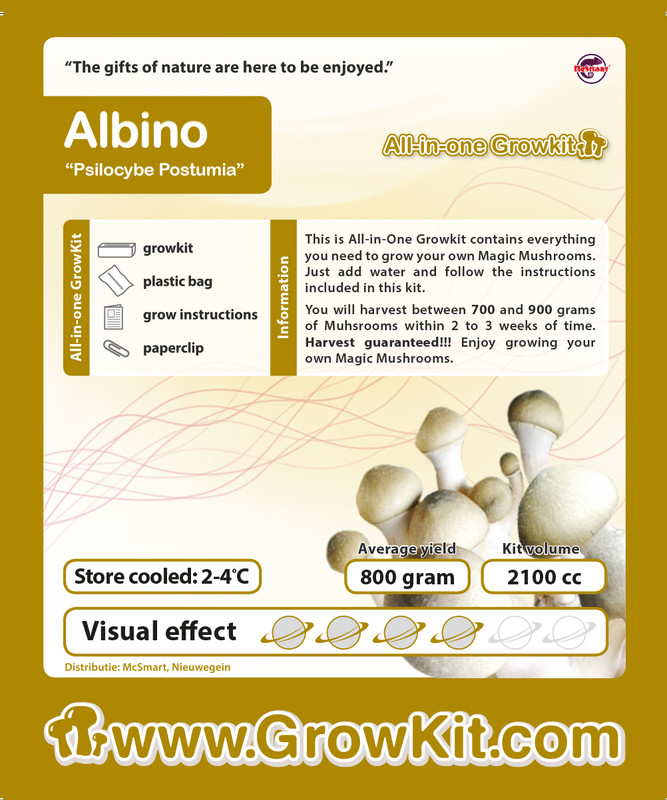 Albino is the newest GrowKit in our range. The mushroom lies in terms of strength between the Mexican and Ecuadorian All-in-one Growkit. The hats of the albino are really pale, this is due to the lack of pigment in the mushrooms. The stem is fleshy and ivory, while the base is covered with a white fuzz.